FLORIDA – It’s still about a month and a half before the official start of the Atlantic hurricane season, but it could be off to an early start this year. The National Hurricane Centre (NHC) in Miami said this afternoon that the low is producing disorganized cloudiness and showers and has the opportunity to become a subtropical cyclone over the next 24 hours. 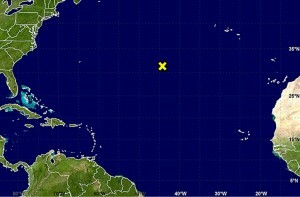 It has a 30 percent chance of becoming a subtropical depression or storm – Arlene.